May all your dreams come true, this Christmas. May Santa Claus bring joy and luck to you. Yes, another eventful year is almost over and a new one is already waiting for all of us. With the holiday season about to start, we would like to take the opportunity to say thank you. Thanks for your continuous support, your incredible patience, your steadfastness, and your dedication for Xerazx-OTS helped us through. Together we enjoyed 2015 till the last moment of it, we hope that you enjoyed each moment you spent on our server during 2015. Thank you for the passion you show us day by day for this game that we all love so much. Xerazians, thank you for another year and lots of new memories to treasure! This year on Xerazx-OTS Santa Claus is coming with even more gifts than previous years, make sure to redeem your gift from him this year! Santa Claus has landed this year at Dream Houses's portal, he is waiting all of you there with unique rewards. We have designed a small quest-based reward for Santa this year, simply, Santa Claus will require certain number of Crystal Tokens to unlock any gift you choose. Visit Dream Houses's portal today to Learn More. 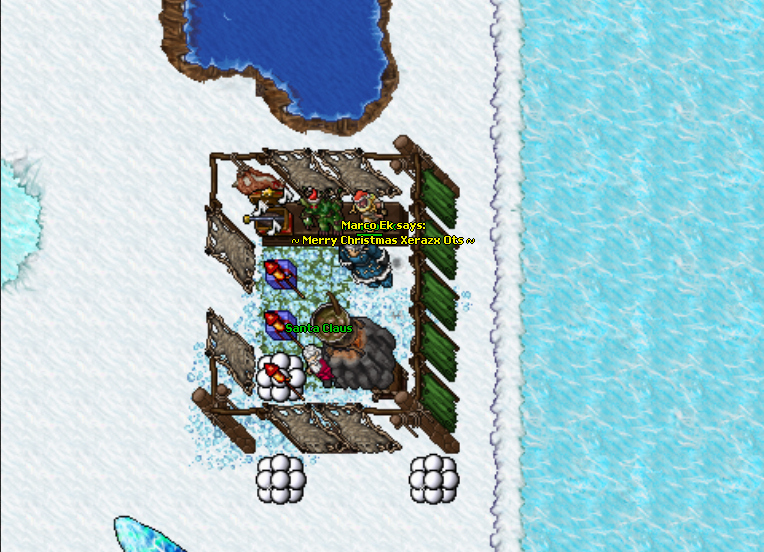 Your picture should be taken without any of the Tibia client frame, just snip the middle of the screen where you can see your character and other in game environment. Your picture should appear into your post do not add links to the image, use the forum image tag. 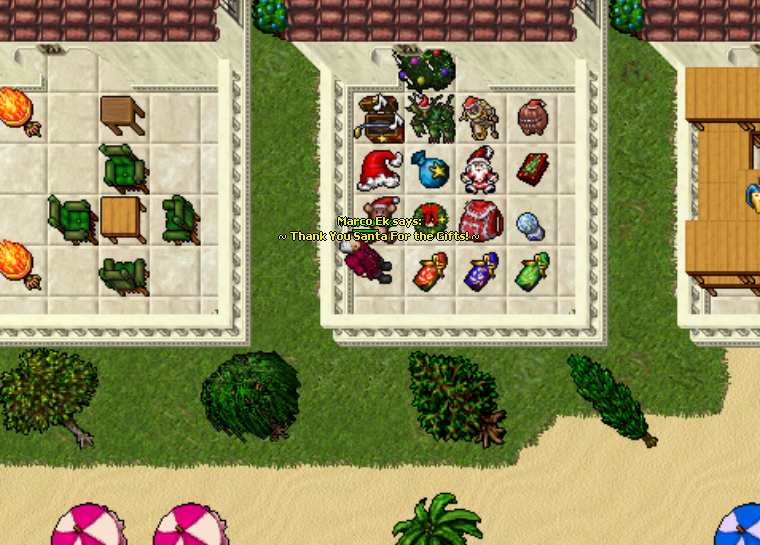 A: Simply, take a screen shot of your in game Christmas festival and try to make your picture as much good as you can so you to increase your opportunity of winning the contest. Q: How can I win? 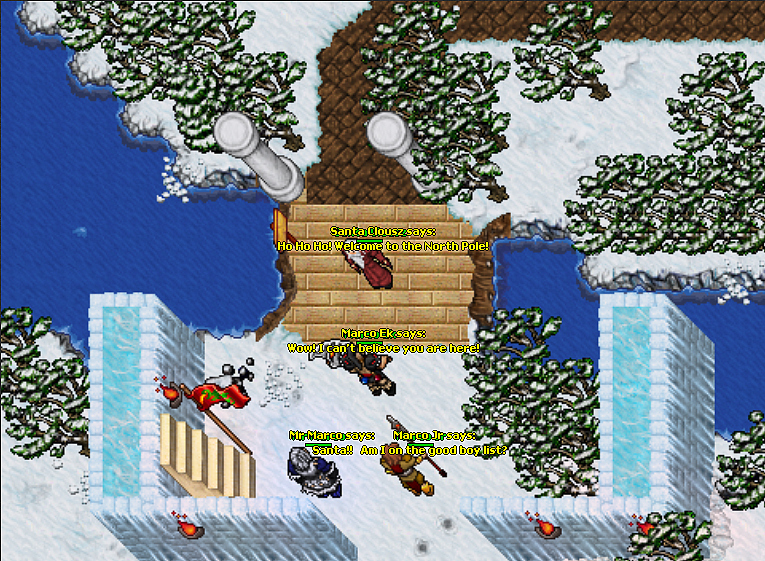 A: Don't break any of the contest rules, and try to take a decent screenshot in a good place showing your own way of celebrating this year Christmas! A: The first winner will be awarded with 6000 Premium Points, second will be 4000, and the third will be 2000. In addition to special Santa Teddy. A: The final result will be announced on the 1st of January 2016. Please note that above changes will take place after next global save. Last edited by Moderator; 2016-01-01 5:52 . This is great, I can't wait! Last edited by Zariel; 2015-12-23 4:57 . Thanks for your report. NPC Kido should be fully operational now. There is a random probability that Santa Exp Apple would appear in one of the three Christmas bundles (red, green, blue). The variable inside the bundles is what comes with the Santa Exp Apple only. Well I would like to start by saying Merry Christmas and Happy New Year, it has been an amazing year here in the server. 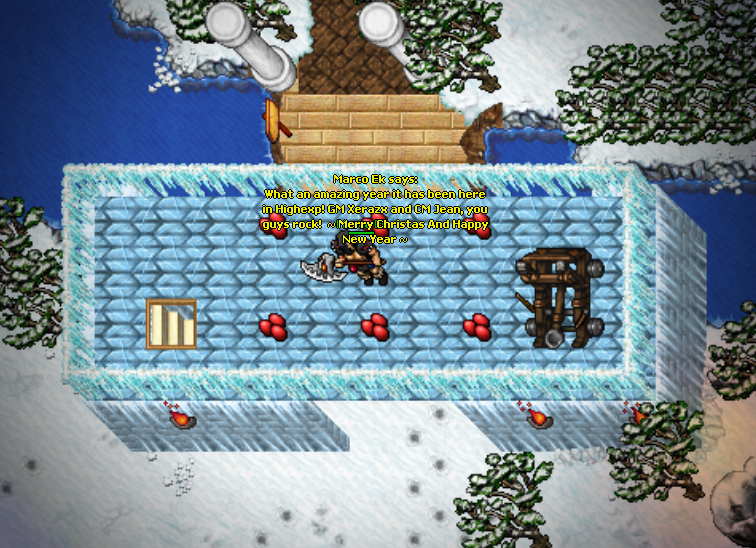 I started playing this server 4 years ago with my brother and always had fun. My first character ever was https://highexp.eu/characters/Marco. I sadly can't remember my account but I started a new one. I remember the old times when the admins used to hang out with us in the temple, helping us, guiding us, and make sure we are having a great time. I can't believe how far Xerazx have made it and hope it keeps on going for many years. I met many amazing people and made many friends. I remember when I saw a 500 rebirth player back then and wanted to know how he got so many rebirths. Now almost half of the server has 1000 + rebirths! Seriously thank you CM Jean and thank you GM Xerazx for maintaining your server strong and bigger each day. Your server gave me hours and hours of fun and gameplay. Hope you have a great Christmas and New year! Last edited by Marco Ek; 2015-12-30 11:24 .